Over-the-top fireworks, loud music, confetti falling from the sky, and a dose of culture — go all out this New Year’s Eve as you ring in 2018 with the best views you’ll find in this world. 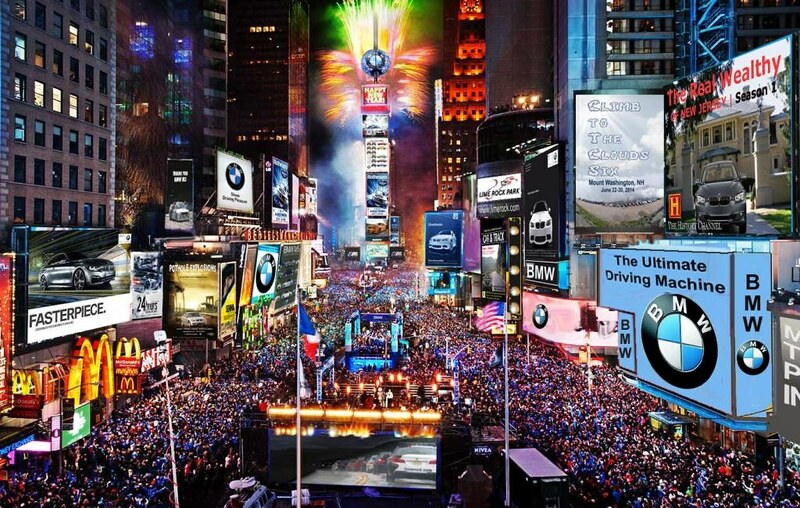 Perhaps the most famous NYE street party, a million people crowd up at Times Square to watch the ball drop a minute before midnight. The ‘ball’ is a 12-foot glittering disco ball that slides down a flagpole at the top of the One Times Square. It’s a yearly star-studded event but the official musical line-up is released only toward the end of December. The celebration this year kicks off with a performance by the Tongliang Athletics Dragon Dance; a 15-meter long gold and blue dragon undertaken by eight performers. When Australia does something, they do it big: the largest fireworks display in the world, first at 9pm and then an even more extravagant one at 12am. And with a backdrop like the Sydney Harbour Bridge and Sydney Opera House, you have yourself one striking scene. The entire waterfront event also includes aerial acrobatics, Harbour of Light Parade, illuminated boats in the harbour and an Aboriginal smoking ceremony. Families looking for a little more breathing room and fun can head to the Taronga Zoo, where you can have picnics and zoo access. 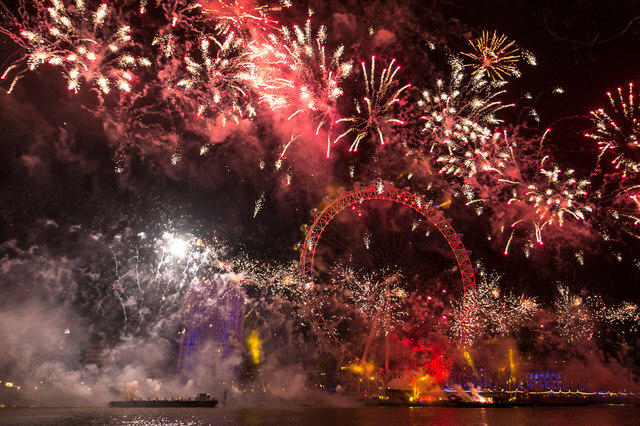 Be one of the 250,000 or so people at the London New Year’s Eve Fireworks 2017, held at the banks of the Thames River. Ring in the New Year to the chimes of Big Ben and a good view of the London Eye. There is a 10-minute light show and fireworks display held on New Year’s Eve, but the first day of the day is equally as exciting with a parade complete with marching bands, dancers, colourful floats and a procession of the Queen’s horses. Famed for its Copacabana and Ipanema beaches, Rio definitely knows how to throw an epic party. The world’s largest NYE bash is held at Copacabana where more than two million (you read that right!) gather for the Réveillon. The party has a couple of rules that honour religious, traditional and superstitious beliefs: everyone dresses in white, which is believed to bring good luck, and they toss flowers into the ocean as a gift to Yemanjá, goddess of the seas. Can’t make it to New York? Head to Hong Kong instead, where a Times Square-inspired ball drop takes place in Hong Kong’s own Time Square shopping mall. The true spectacle, however, is at Victoria Harbour. 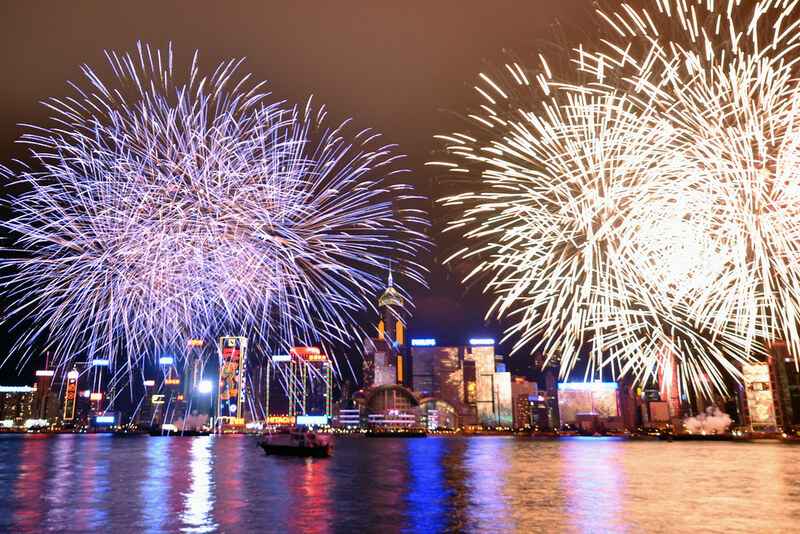 Pick your vantage point for the night to enjoy an amazing fireworks show: a junk boat, rooftop terrace, or one of the many bars in Lan Kwai Fong. Travel resolutions for the new year?